Welcome to the Hilton New Orleans/St. Charles Avenue hotel, located in the heart of Louisiana’s main business district, blocks from the world-famous French Quarter and Arts District. 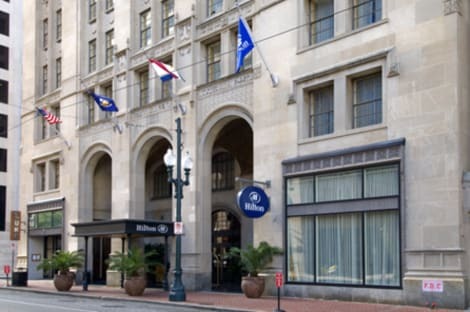 This New Orleans hotel is 25 minutes from New Orleans International Airport and 6 blocks from the Morial Convention Center. Chevron and Ernst and Young are less than a mile from the hotel. This 1920s high-rise hotel in New Orleans, LA has stunning architecture and design features, with original chandeliers, marble floors and handcrafted inlay tile ceiling in the Grand Entry Hall. 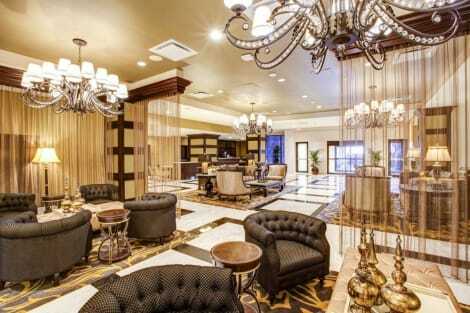 Enjoy the five-bedroom Grand Suite, or spend the night in one of 25 lavish dignitary suites. Soak in hot tubs and relax in separate living areas in each suite. Executive level rooms include complimentary refreshments and breakfast. Accessible rooms are available on request. Stay connected with high-speed internet access or enjoy a midnight snack with 24-hour room service. Host an event in the elegant 12,000 sq. ft. function space, including multiple breakout rooms. Enjoy breathtaking views of the city skyline and Mississippi River on the 18th floor Skyview Terrace - perfect for weddings and special functions. A business center and secretarial services are also provided. Enjoy exceptional cuisine and watch chefs as they prepare your meal in the brasserie-style Luke restaurant. Exercise in the fitness room, swim a few lengths in the hotel pool or relax in the hotel spa. The DoubleTree by Hilton Hotel New Orleans offers full service at the best downtown New Orleans location just four blocks from New Orleans Convention Center and located directly across the street from Harrah’s Casino and the French Quarter which includes Bourbon Street, Jackson Square and Royal Street.Enjoy a true taste of DoubleTree hospitality with a signature warm chocolate chip cookie on your arrival. 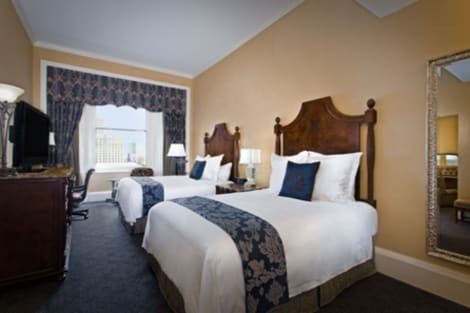 Choose from an array of stylish guest rooms and suites offering views of the Mississippi River, French Quarter, Harrah’s Casino or Canal Street.New Orleans is a city known for culinary excellence and offers endless dining options for visitors to enjoy. Grab a quick cup of coffee or a pastry in PJ’s Coffee of New Orleans, or visit WOW Café, offering all day dining with everything from wings to New Orleans favorites. Sip a cocktail or appetizer before experiencing vibrant New Orleans nightlife.Enjoy on-site services such as the seasonal outdoor pool or the fitness room, featuring cardio equipment and free weights. 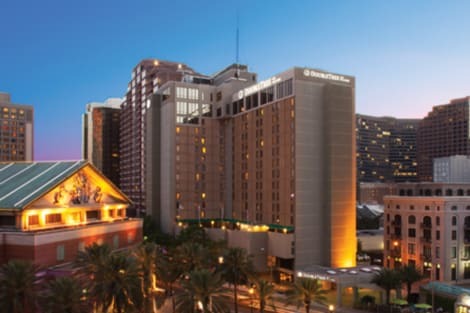 For a complete workout, DoubleTree by Hilton Hotel New Orleans guests may access the extensive Health Club by Hilton Riverside.Book your event at this hotel in New Orleans, with 16,000 sq. 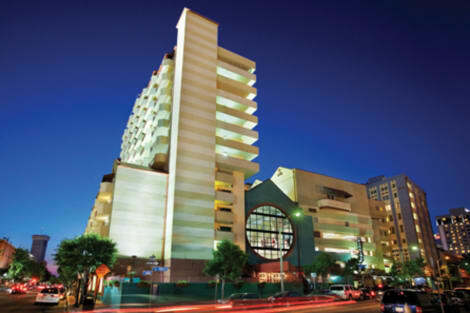 ft. of flexible, modern meeting space and a 16th floor ballroom accommodating parties of up to 500. Business guests can take advantage of the complimentary 24-hour business center with computer workstations, copier and fax machine. Located less than 10 minutes' walk from historic Washington Square, this B&B serves a free hot breakfast daily. All rooms offer free Wi-Fi. Guests receive one complimentary cocktail upon arrival. There is a café on site. A cable TV, microwave and fridge are offered in all rooms at the Balcony Guest House. Rooms boast wraparound balconies, traditional French New Orleans furnishings and an en suite bathroom. A shared parlor features French doors with access to the 80-foot balcony and a view of the neighborhood. A launderette is available for guest use. Silk Road Restaurant is located below Guest House Balcony. A variety of New Orleans and Indian food is served. Specialties include red beans & rice and a catfish platter. The New Orleans Museum of Art is just 3 miles from the property. Audubon Institute is 8 minutes’ drive away. Memories begin at The Roosevelt New Orleans, A Waldorf Astoria Hotel. Built with business and leisure travelers in mind, The Roosevelt combines old-world service with today’s modern conveniences. Offering 504 luxuriously appointed guestrooms and suites, the Roosevelt is the ideal headquarters for your business meetings or that weekend getaway to New Orleans. The Roosevelt is adjacent to the world famous French Quarter (one block from Bourbon St.) and is convenient to the Canal Streetcar Line, Super Dome, Harrah’s Casino, Mississippi River attractions, and the New Orleans Convention Center. Experience all of the perks and amenities of our luxurious property. Pamper yourself in the Waldorf Astoria Spa, listen to live jazz while sipping on creative cocktails in the Fountain Lounge, experience America’s first cocktail, the Sazerac, at the Sazerac Bar, or treat yourself to a memorable dining experience at John Besh’s Domenica. 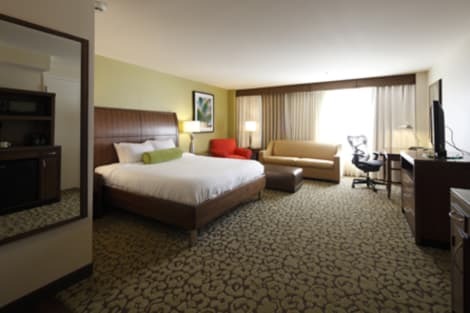 Spacious guestrooms offer luxurious linens, flat screen TVs in the Bed and Bath, WiFi (additional charges apply) in all guestrooms and public areas, in-room refreshment centers, bathrobes, in-room safes large enough for laptops, and 24 hour in-room dining. The hotel also features 135 distinctive suites ranging from the comfort of a traditional one-bedroom suite to the grandeur of our Astoria suites. With a stay at Creole Inn, you'll be centrally located in New Orleans, steps from Royal Street and 7 minutes by foot from Frenchmen Street. This guesthouse is 0.5 mi (0.8 km) from Bourbon Street and 0.3 mi (0.4 km) from Decatur Street. 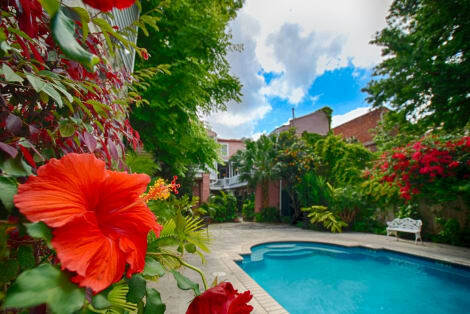 lastminute.com has a fantastic range of hotels in New Orleans, with everything from cheap hotels to luxurious five star accommodation available. We like to live up to our last minute name so remember you can book any one of our excellent New Orleans hotels up until midnight and stay the same night.